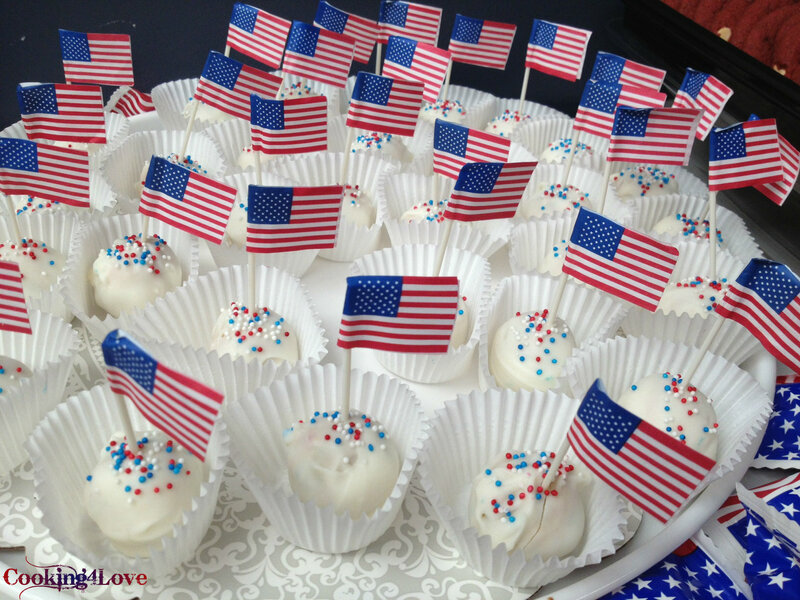 A few months ago, I made some amazing Oreo truffles and wanted to do something similar for the potluck we had at work yesterday to celebrate the 4th. 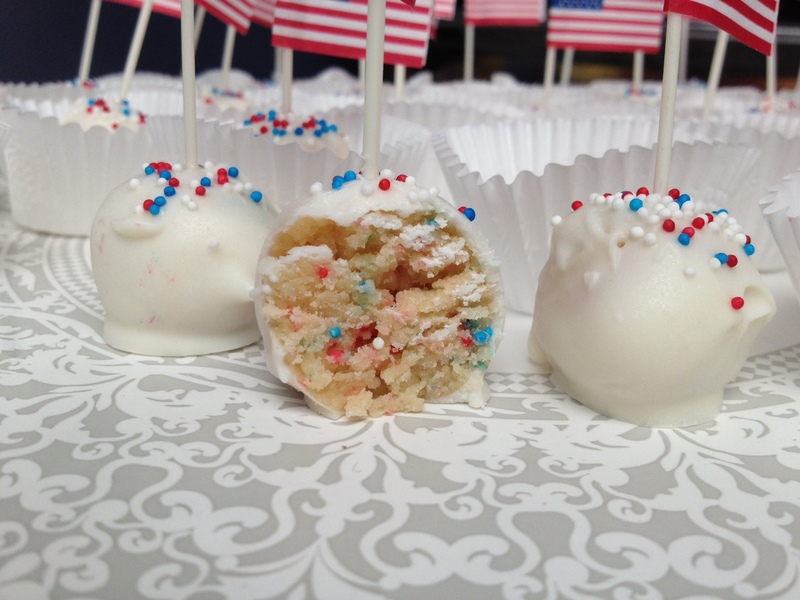 I saw these a while back and saved the recipe from Six Sisters’ Stuff, and followed it exactly as written, with the exception of using only red, white & blue sprinkles and adding American flag toothpicks on top to make these patriotic for the occasion. I’m not a huge cake batter fanatic (although I do like it a lot), but apparently, there are tons of people out there who are! I thought they were great, and received rave reviews, so have to say they were a success 🙂 Not to mention, I think they’re really cute! Add 4 tbsp. of milk to make a dough consistency. Roll dough into one inch balls and place on a parchment or wax paper lined cookie sheet. Chill balls in the refrigerator for 15 minutes to firm up. Once melted, quickly stir in cake mix until incorporated completely. 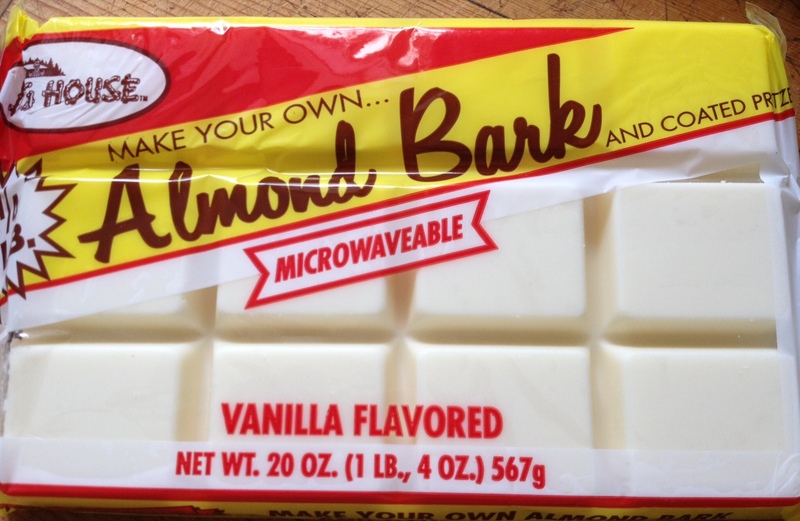 Using a fork, dip truffles into almond bark and shake of excess bark by tapping the bottom of the fork on the side of your bowl. 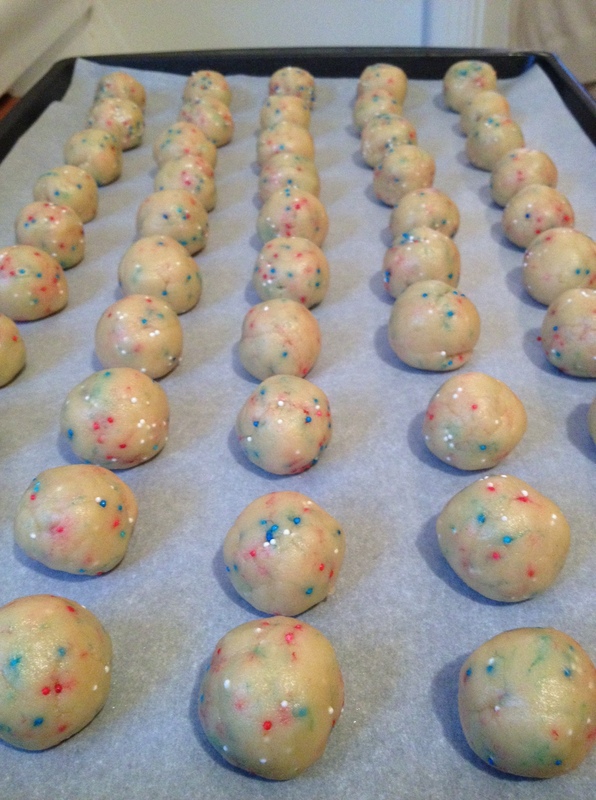 Place truffles back on the cookie sheet and top with sprinkles. Repeat with remaining balls until finished. This entry was posted in Desserts, Recipes and tagged bite-size, cake batter, dessert, truffles. Bookmark the permalink.